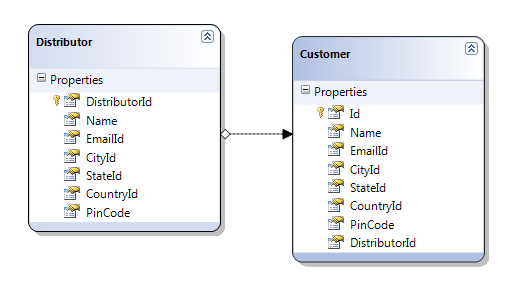 DataLoadOption in LINQ allows immediate loading and filtering of related data. The DataLoadOption allow to load related object so this remove need of the firing subquery every time you ask for the related object(s). each time inner for loop fire query on database to get the customer related to distributor which in turn decrease the performance. But if you know in advance that you are need to use the related list when you are loading main list i.e you need to load data of related entity eagerly make use of DataLoadOptions. Be careful when you use DataLoadOption because it may decrease the performance if you are not going to use related objects. Use only in situation when you want to load related object early and going to consume it all. You an only attach DataLoadOption once with the instance of datacontext. 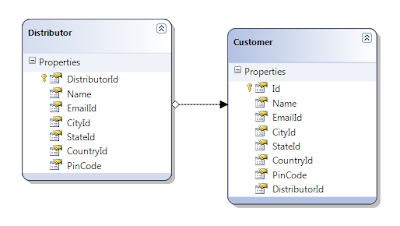 To avoid the exception you need to create the static DataLoadOption variable because as the compiled linq queries are the static one it not consume the DataLoadOption which is not static. So for that I have created below code where GetDataLoadOpt() static function returns DataLoadOptions object and I store it into static variable dlo and than attach this dlo1 with the compiled version of query. If you want to get the above exception try code removing static from the function testfunction and variable dlo1 than assign it to compiled version of query you will get the run-time exception.